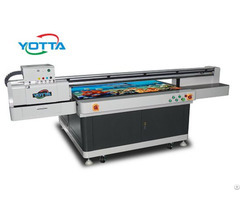 YD2513-RA UV Flatbed Inkjet Printer adopts original imported Ricoh G4 head, can print on super large flat materials that within 2500*1300mm size and no more than 100mm thickness, including glass, ceramic, acrylic sheet, metal sheet, advertising clothes etc. 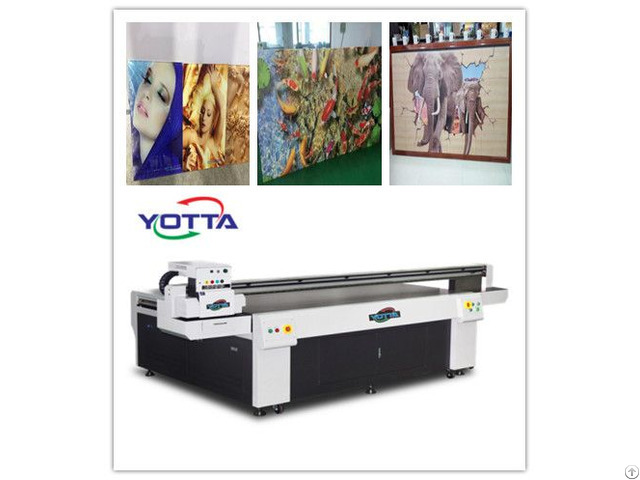 It shows unmatched advantages in large format color printing industries like outdoor advertising and indoor decorations. Glass, acrylic, wood, ceramic, metal sheet, PVC sheet, corrugated board and plastic etc. Material Glass, acrylic, wood, ceramic, metal, PVC, corrugated board, plastic etc. 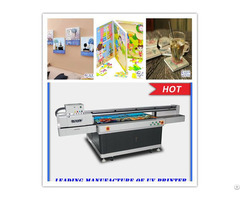 Print technology(device ) ①Compression water-cooled system to keep UV LED temperature. ②Automatical Height Sensor in both side. 1. About the price and quality? We can not say we are the best supplier, but we are honesty for our quality and price. Good quality is our first rule, and good service is our mission. We produce machines as 5S management rules, and ISO standard. 2. Why do you choose our factory? service, give us a chance, also give your a chance to know this field if you really want to know this printer. 3. What is the printer operation? a. Through a digital camera or scanner to get File sources of pictures. b. Through the computer images to typesetting modified document layout. c. Through the universal printer output files to print. 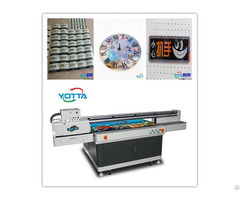 Business Description: Yueda specializes in manufacturing UV flatbed printer for over 8 years.Our printing machine can print any picture on any flat materials with embossment and 3D effect.